Previously the buffer size was set to 4096 when mixing, which allowed for many plugins to run. With the addition of MIDI tracks the default buffer size has been reduced to 512 to allow for acceptable MIDI playback, so if you are using MIDI tracks you won't be able to run as many plugins as before. However if you separate the recording phase from the mixing phase, and freeze the MIDI to audio (you can use the new "Bounce Track in Place" option in the Process menu) you can then increase the buffer size at the mix stage. 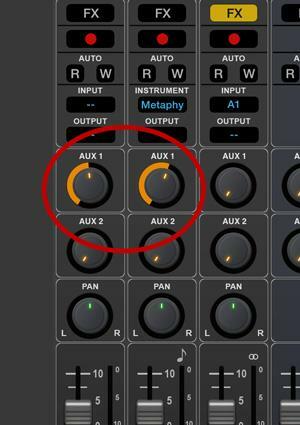 If you have an empty track you can set it's input from any of the AUX channels (there are 6 of them now), and any effects you add on that track can be dialed in to all the other tracks via the AUX send. The great thing about this is that you can for example EQ you reverb send separately from the main signal. If your reverb is too bright for example, simply put an EQ after it in the chain. 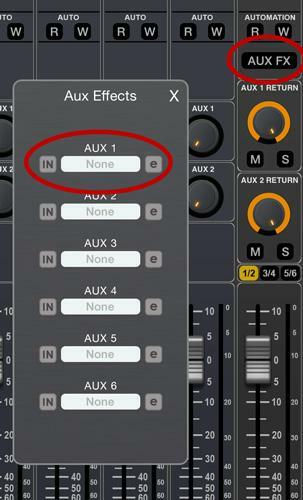 Just be aware of one potential catch: if you put an effect on the AUX send itself, that will be blended with any busses in parallel - so if you want the chain to be in series leave the AUX slot on the master strip empty, and use a channel with the AUX as an input. This probably all sounds a bit confusing so I will upload some screenshots to explain. This is a terrific idea and will be a helpful resource (must admit I Texas-read your first point as 'Be aware of your buffet size'). NOTE: it's easy to set your buffer size back to 4096, so your CPU usage will be very low. As long as you don't have any MIDI tracks in your project. Any audio on this track will be ignored BTW. Because if you add an effect there it will be blended in parallel with the other effects you have added on the channel that is using the AUX as an input. So for example if you are trying to EQ a reverb send it will still blend the original with it, which you don't want to do. Version 2.01 is going to add direct outputs as well. 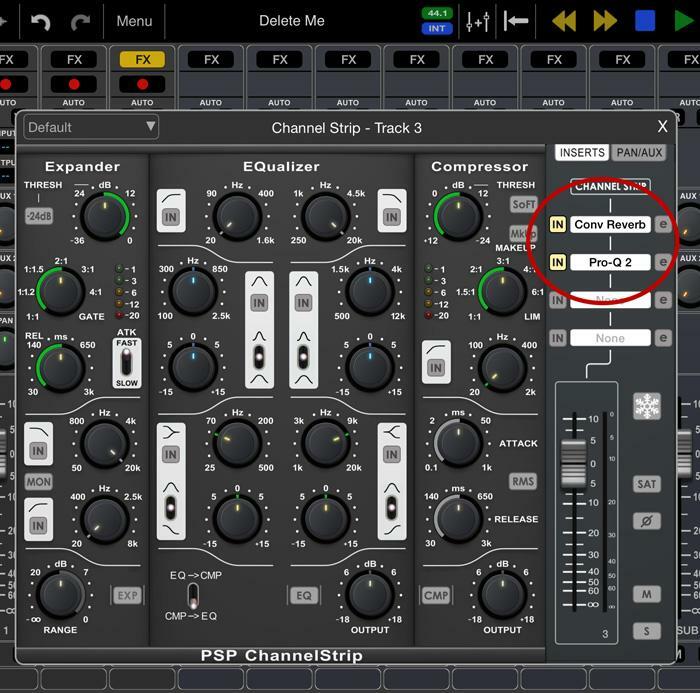 You'll be able to route any track directly to an output on your interface. ^Cool Looking forward to that and AU hosting. Great work on this massive project, Rim! Auria now works charmantly with Audiobus and Studiomux. 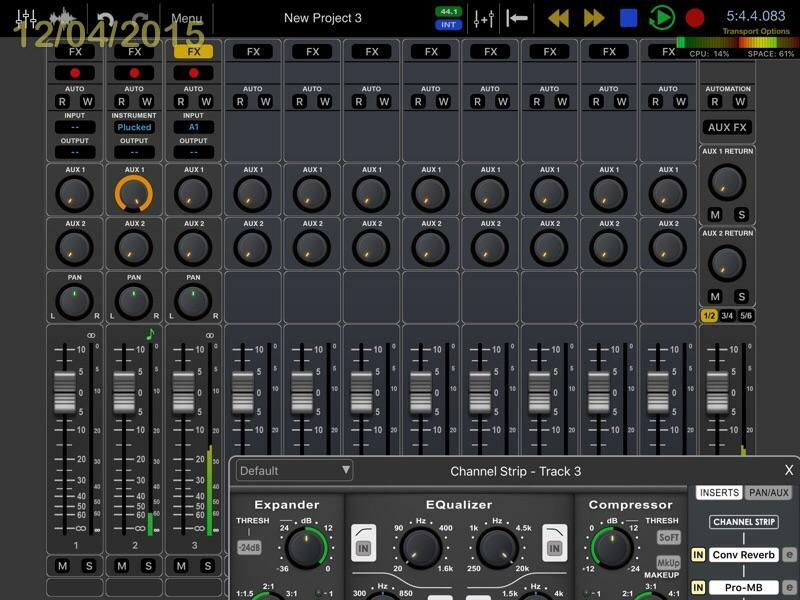 Do you use Audiobus running into Studiomux? I could never get that to work and the online guide doesn't explain it well. Sorry for this OT intrusion but it's been a thorn in my whatever. Don't 'Sorry', no intrusion whatever. No I just meant running Audiobus into Studiomux, I can never get Audiomux to pick up AB. Suggest asking zerodebug about it, rhc (: Probably updating the servers, etc. 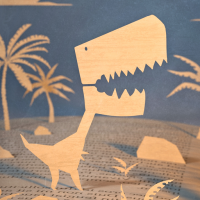 @richardyot thanks for the chain effects trick. I didn't know, just tried... Supercool! Ok, I can understand now! Too awesome tutorial. I'm trying to do some automation with the Twin2 at the moment. I would appreciate some tips on that. I was able to do the vector drawing which is great but can I also record the movement of the knobs manually? Slightly worried pre purchase question: As long as you only use internal synths/sampler, you should be able to mix at any buffer size right? I can automate Lyra manually, it has the R and W buttons for automation but I can't find these on Twin2 or One. What's up with that? Seems like I also can't automate IAA cc's. Hopefully just a bug - some things appear to be automatable via MIDI, but not all. IAA probably can't be automated because of iOS limitations. To automate Twin2 or One, just turn on the track's W and R buttons. In order to use MIDI at all (internal or external), iOS limits your maximum buffer size to 512. But if there are no MIDI tracks in your project, you can set the buffer size up to 4096.
cant get any midi from apps . Just thumb jam worked out easy. Missing something? All routing seems ok.. They are not there the R and W buttons. That's what I'm saying, I only see R and W on Lyra. @firejan82 Rim meant the R and W buttons on the track's main channel in the mixer view, I just tested it and it works. Very few apps generate MIDI. Only ThumbJam and a few isolated other apps. They were never made to generate MIDI.